When I originally published my What To Expect When Your Partners Expecting post, I intended for it to be a one off. It was meant to be a funny post on serious problems or sayings that Alice and I had before we became parents. 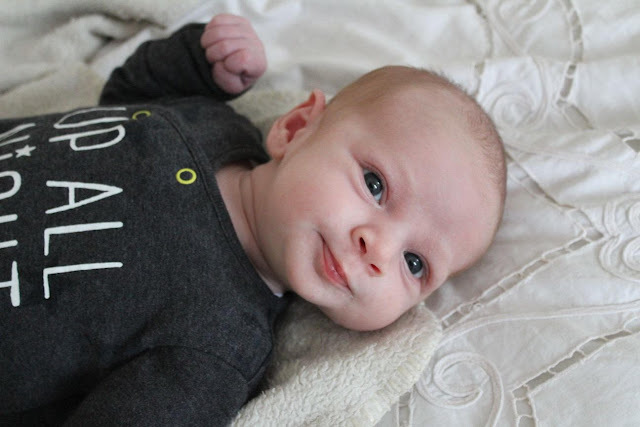 As the post was fairly successful and there have been more occurrences since Joshua arrived. I feel like I’m going to turn this into a series as Joshua grows up. The first thing I noticed when we became parents was the unsolicited advice people would just give you, whether you wanted to hear it or not. Things change yearly when raising children with new studies being released all the time that the offerings of help or advice are quickly out of date and some have been interesting to say the least. No, I do not need to hop on one leg, whilst doing the Hokey Cokey at the same time to calm my child, because he's decided to play guess my cry and I haven't worked it out yet. Every baby is different and so are people as parents so sometimes that advice is anything but. I find if people want help or advice, they'll ask for it, in the mean time just smile and keep quiet. You'll find it's daunting and it still is at almost seven weeks but you and your baby will find what works for you eventually. While the advice people give or more often than not forced on you isn't welcome, having a friend and family support network is vital. There's nothing better than being able to pass your baby to a friend or relative after they've peed and puked on you so you can reclaim some sanity. Those hour long crying sessions can make even the sanest person want to bang their head against a wall. The early weeks of Joshua's life were tough because Alice was so unwell but we were so lucky that Alice's family were so close and so willing to help otherwise it would've been a lot harder. I don't know what we would've done without them grabbing food for us, making a cuppa or just cuddling Joshua so we could get some shut eye. Development leaps or thunder cloud moments as I've seen them be referred as, are periods in your babies development where they progress both psychically and mentally. While it's amazing to see your little one change, develop and learn, man is it a struggle! One minute your little one is gurgling and playing away on the play mat when next minute world war three has broken out and all hell has broken lose. 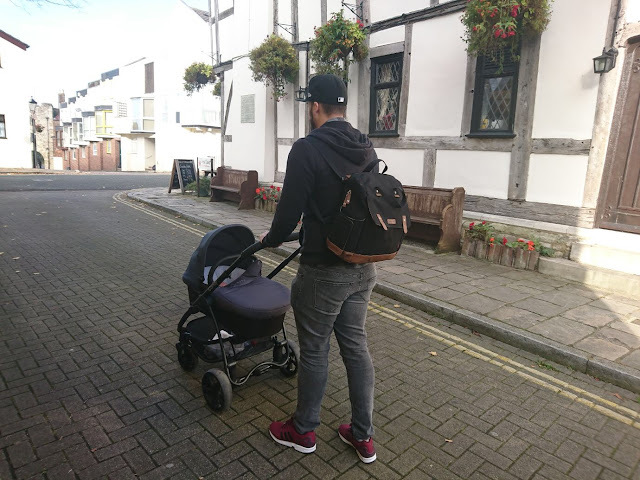 We've been using The Wonder Weeks app so we know what's about to happen and how we can help which has made his second leap that little bit easier. The best bit? Seeing the change which makes those 3am crying fits and claw to the face worth it. The game of feeds and changes, you either win or get peed, pooped or puked on, in some cases, all three happen! Every two to three hours is a constant cycle of feed, change, sleep and repeat, for the first few weeks at least. It's a learning curve, I'll tell ya! Feeding your baby too quickly, not burping well enough or laying them down too soon will all result in your clothes being layered in baby puke whereas changing a nappy is an extreme sport in its own right, especially with a boy. Once you've opened the nappy and the air hits, you are target practise for a pee stream. Sometimes you get it just right and other times you get a bit too cocky and bam, pee fountain. The pooping side of things, so far hasn't been too bad, apart from the one poo that kinda ends up both sides. Ask me again when we start weaning though as everyone likes to remind us that, that is worse. The only other thing you need to be wary of is that your baby can sometimes become the equivalent of Jackie Chan, with arms and legs flying everywhere. I'm surprised Joshua hasn't taken off. One of the more annoying comments Alice and I heard was in regards to the clothes we will have to start wearing because we now have a baby. Apparently having a baby means that you go from your nice clothes to dressing like a bag woman which lets face it, isn't true. Having a baby doesn't mean that you can't wear nice clothes anymore in fear of getting them covered in sick or pee, just use a washing machine like everyone else. The main thing I take from all of the above is just don't listen to other people and do your own thing. You'll find your way and if you really need some help or advice, ask someone you trust.